Rapid, durable, cost-effective and highly safe construction is what a developer like Mirvac requires, and Powerwall Solutions have the skills and products to deliver it for a product like Riverside. Powerwall Solutions undertook all the supply and installation of 90/90/90 fire rated party walls between all the units at Yarra’s Edge Docklands, and installed external walls up to three floor levels using their innovative Hebel Ylifter. Six of their staff worked on the project for 6 months, with the Hebel Powerpanels ensuring they could make progress at the rate of a two storey party wall a day. Powerwall Solutions are specialists in the installation of Powerpanels, which combine thermal and acoustics installation and certified safety qualities with ease of installation. This makes them a top product for projects with high standards for construction outcomes. Powerwall Solutions has specialised in Hebel installation for over 10 years now and has grown to be one of Australia’s largest and most respected contractors. The company designed and manufactured the Ylift Hebel technology which is used for installation. The Ylift has been safely tested and certified to a lifting height of 13 metres, and eliminates many OH&S issues, while also increasing speed and efficiency. This adds up to reduced costs in both time and labour for the builder, especially on party wall and boundary applications. Partywalls and boundary walls can be an issue in construction of multi-residential buildings as they restrict consistent workflow. The Hebel Partywall system gives projects a high acoustic masonry wall between units and a 90min FRL from the panel alone, eliminating the need to add fire-rated plasterboard. Because Powerwall can install the Hebel panels after frames are up, the carpentry team can keep working, without needing to stop work for bricklayers or add fiddly shaft liner systems. Boundary walls can also be extremely difficult and costly to construct, especially on zero allotments or space restricted sites. Using the Ylift Hebel system allows the boundary wall to be constructed in a fraction of the time required for traditional bricklaying, and is more cost-effective. Also, only one continuous access point is required. 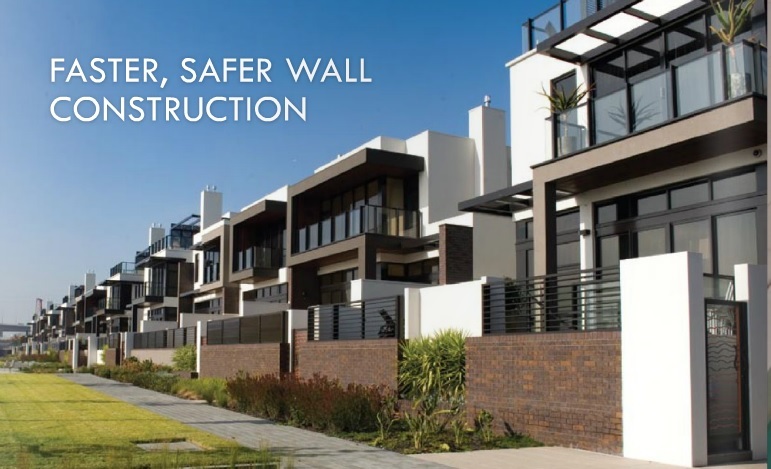 Because the Hebel system is comprised of aerated concrete, it has superior fire-retardant properties, giving a three hour fire rating on boundary walls. The walls can also be rendered after sealing to achieve desired design outcomes. Other Mirvac projects which have relied on Powerwall Solutions to deliver high quality, cost-effective construction results include Waverly Park, Waterways and Docklands. Powerwall Solutions have also supplied and installed party walls and boundary walls for Henley Homes, New Look Homes, Urban Edge, Creation Homes, and McCorkell Constructions. Party Walls, Boundary Walls, Fire Rated Walls.